Jesus said in Matthew 16:18, “I will build My church,” and for over 2000 years He has doing it faithfully. As His people have worked together with Him in the process there has been ups and downs along with good and bad examples in building. In the areas of local church leadership we have seen many different models handed down to us over the centuries. Some have been very Biblical while others drifted away from Biblical design. 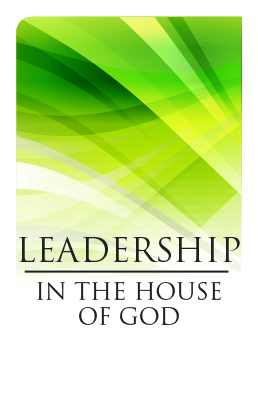 In this study “Leadership in the House of God” we will attempt to look as closely as we can at the Biblical design for leadership in the local church. We will cover the important issues of elders, deacons, as well as the Ephesians 4:11 (five-fold) ministries and how they relate in local church leadership.